“Where would you go to have hygienic street food?” asked my NRI friend who was visiting Delhi. There was a time when I would have blindly recommended Haldiram’s or Bikanerwala. But now there are some upmarket restaurants that also serve various types of chaats as part of their modern Indian menus. However, the choice of street food at these establishments is rather limited. Hence, I suggest her to try a new place that serves an array of street specialities from different corners of India – The Masala Trail. From Old Delhi’s bedmi aloo subji and Agra ke paraanthe to Banarasi tamaatar ki chaat, Gujarati panki, Kerala-style appam and stew and thukpa from the North-East the choice is vast. You can choose how you’d like to traverse this menu: stick to one region at a time, opt for a range of dishes that showcase culinary traditions of different parts of India or simply order a regional thali. 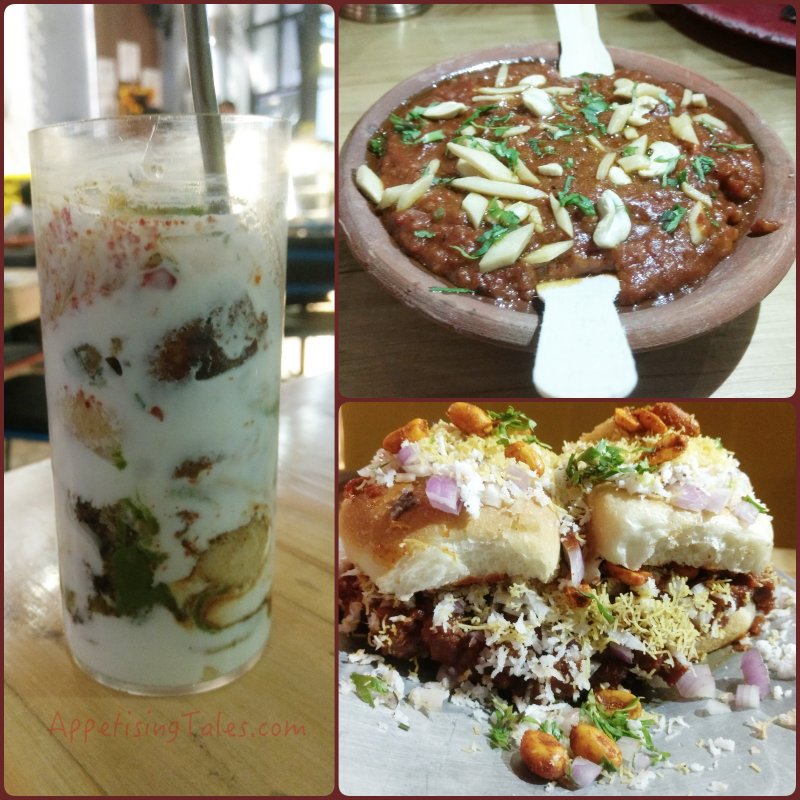 Right top: Banarasi Tamatar Chaat. Right Bottom: Gujarati Dabeli Pav. 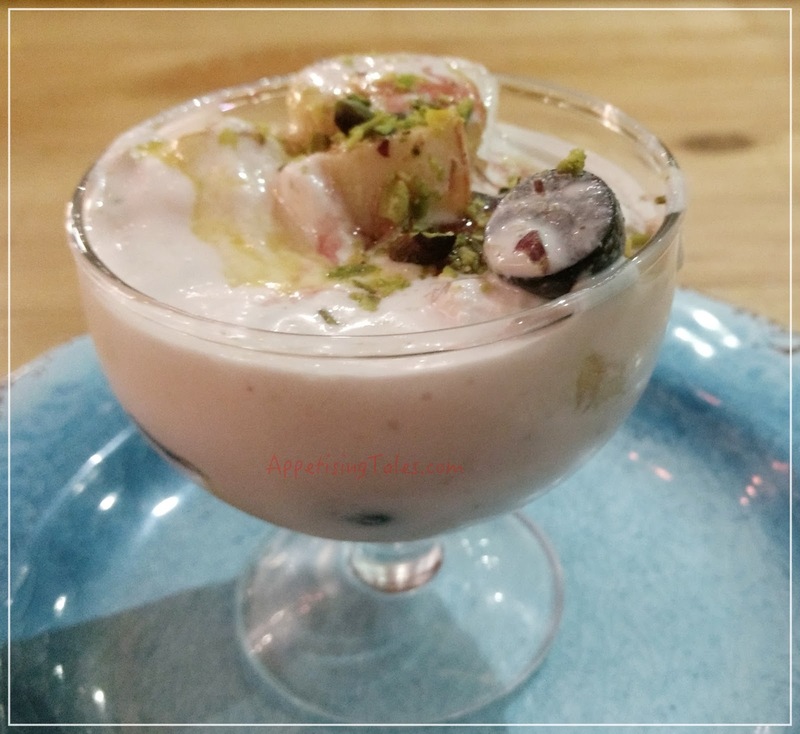 On the Friday evening when we share the table with Osama Jalali, the owner of The Masala Trail (TMT), he orders for us some bestsellers as well as a few dishes that one may not easily find in Delhi. We start with the ‘tower chaat’, a Kanpur special that is served like an icecream sundae and comprises matra tikki, aloo tikki, dahi bhalla, ram laddoo, khajoor chutney and green chutney. Next up is a piping hot tamaatar ki chaat, followed with dabeli (a kind of Gujarati vada pav in which the vada is replaced with a spicy-sweet mixture between the pav, topped with masala peanuts and sev), kachori with aloo subzi, litti chokha (probably the most famous dish of Bihar), Chalukya dosa from Mysore and panki (very thin Gujarati style pancakes steamed between banana leaves made with rice flour batter). A former food writer, during the course of his journalistic pursuits Osama Jalali also spent many arduous hours collecting authentic regional Indian recipes. And in the last couple of years, he along with his mother and wife curated food festivals in some of the finest five-star hotels in the country showcasing Mughlai cuisine as it is cooked in his home in Shahjahanabad (Old Delhi), Rampur (from where his mother hails) and so on. Needless to say, most of these festivals featured plenty of succulent non-vegetarian fare. But for his first restaurant, Jalali decided to go with an all-vegetarian menu. “A majority of regional street food staples are vegetarian,” he states. 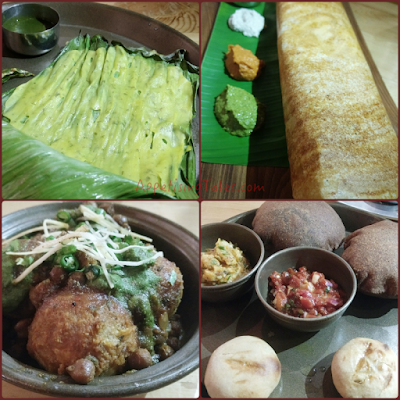 Thus he decided to serve dishes that best represent the state from which they hail like Bihari lithi chokha, Rajasthani dal baati choorma, Gujrati panki & dabeli, Amritsari chhola kulcha, Karnataka akki roti, Andhra’s pulihora, Mysore’s dosa and so on. And as a restaurant that celebrates street food, there is a range of chaats and kachoris, tikkis and tikkas and even specials from iconic street food brands such as Haji Ali fruit cream. Anyone who enjoys experimenting with local fare while travelling will certainly enjoy a meal at The Masala Trail for the sheer choice of dishes that one can enjoy under one roof in the heart of Delhi. This restaurant is ideally located in the touristy area of Janpath to attract foreigners and Indians alike to enjoy a culinary journey through India. The second outpost of TMT is already functional in the food court at Select CityWalk and a third slated to open soon in Noida. In order to give a real feel of street food, TMT food trucks will also be rolling out part of this menu shortly. The Masala Trail by Osama Jalali, 52, Janpath, New Delhi. This article first appeared on indiatoday.intoday.in on February 7, 2017. It may have been modified by the author to fit the requirements of AppetisingTales.com.